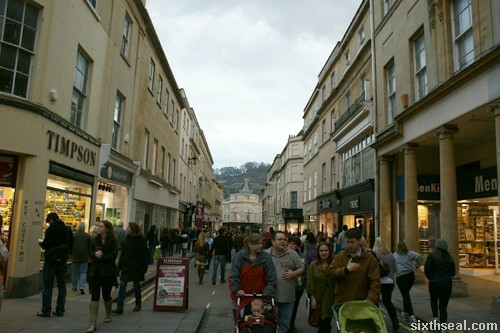 Bath is a small city a couple of hours drive from London best known for the Roman Baths. It’s supposed to be the only hot springs around England when the Romans came. The town has a really unique character, largely due to the stones that the buildings are built with. 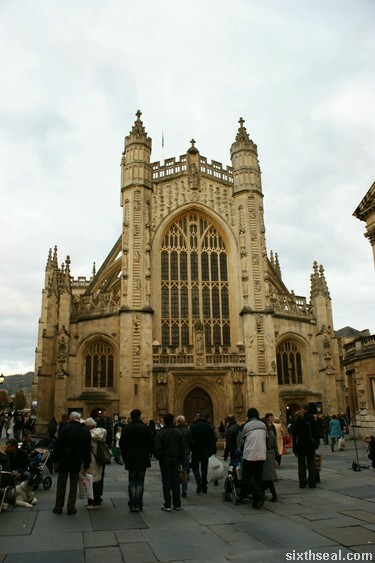 The buildings in Bath are made with distinctive honey colored stones called “Bath stones” from quarries surrounding the Somerset area. I took a day trip there to explore this World Heritage Site. It is a very popular destination – the place was packed even though it was off season and full of visitors thronging the main square. 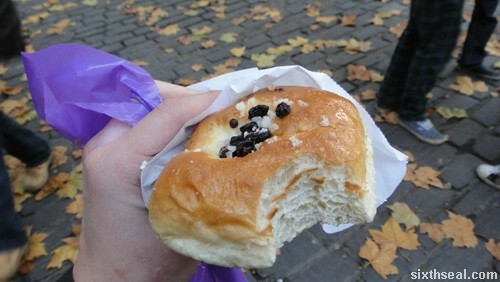 There is a local specialty called the Bath bun – it’s described as a bun with a lump of sugar baked in the bottom and crushed sugar and raisins on top. 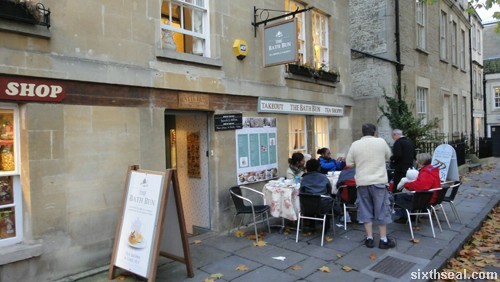 The best place to grab one is at The Bath Bun at the main square. It’s simple but rather tasty, especially when it’s freshly baked. 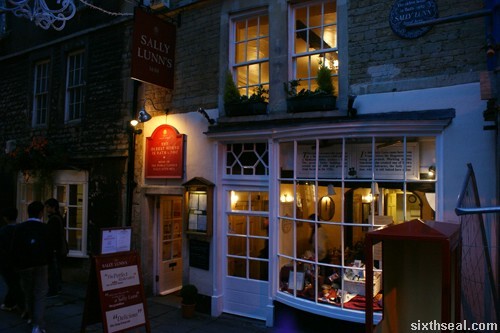 I have also read about the Sally Lunn bun, and was determined to eat it before I left. Unfortunately, I had spent way too much time wondering around and nearly missed my bus so I couldn’t sample this other local delight. 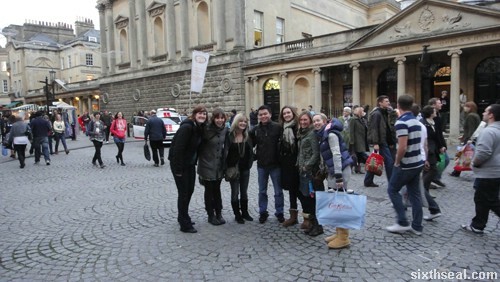 I would say that a day trip is too short if you really want to explore Bath, Somerset. 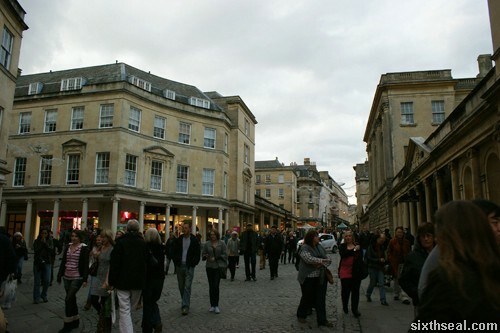 There are a lot of inns there where you can spend the night and I highly recommend at least two days to discover the quaint city of Bath.